You’ve probably found yourself asking Siri a silly question, but do you know it can be used for everyday task management? Chatbots are making the workplace and day-to-day tasks more efficient. The use of chatbots in order to complete practical tasks that require minimal dialog is growing at an exponential rate. If you’ve used Siri, Alexa, or Google Assistant, you’ve interacted with a chatbot, but there are many more. A chatbot is a computer program that conducts a conversation via auditory or textual methods. Generally, the programs are designed to simulate human behavior and serve as a conversational partner. Chatbots are most often used for customer service or information acquisition. They can be found on messaging platforms, in apps and on websites, or even within a company’s internal structure. They have revolutionized the way companies provide customer service by enabling instantaneous, personalized customer responses. Not only do they tend to meet customer expectations, but they can potentially save businesses thousands of dollars. 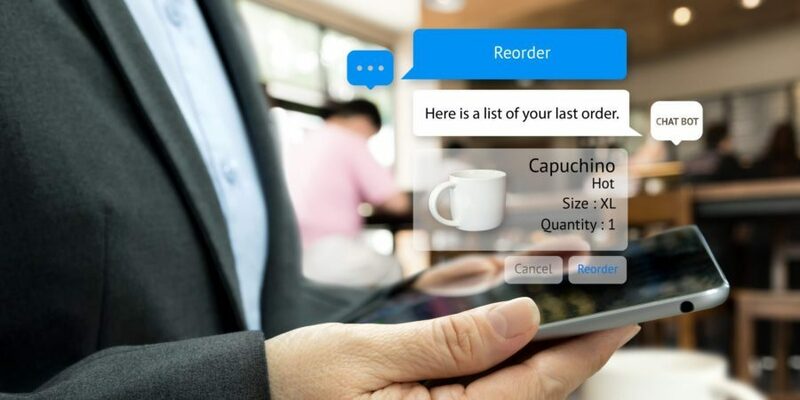 The majority of chatbots use simple processing systems that scan for strings of keywords within a user’s input, then provide an appropriate, pre-defined response from a database. Some chatbots use more sophisticated natural language processing systems, but we’ll save that for another time. According to technology research company Gartner, 90% of enterprises are investigating chatbots, but only 4% have them up and running. Chatbots still have a lot of room for improvement. When you ask a chatbot a complex question that requires context, the system often fails to interpret the meaning behind the question. These chatbots struggle to provide the user with the answer they’re looking for. Many believe that chatbots will replace humans, but chatterbot experts believe otherwise. They suggest that chatbots will work most efficiently and effectively by collaborating with humans. Call centers can use AI along with voice analytics to identify keywords and present the agent with options in real time. Then, unlike the chatbot, the agent can use logic and problem-solving skills to provide the most appropriate response to the user. One expert, Mikael Yang, Co-founder and CEO of ManyChat, believes that chatbots will play a role in behavioral marketing, become deeply integrated with third party platforms, and support offline-to-online interactions. Some experts propose that bots will not only interact with human agents and customers, but with other bots as well. Bots will interact with each other to collaborate on complex workflows and complete specific tasks. In 2018 we will see an increase in the presence of chatbots with far more accurate responses as AI continues to evolve. Creating a chatbot is not rocket science! Of course, there are different levels of intricacy, but if you keep it simple, it shouldn’t be a hard task to accomplish. There are many companies that can help create your chatbot for a more affordable price than developing your own app. You can also create your own bot! The process of building a chatbot can be divided into two main parts: understanding the user’s intent and producing the correct answer. Another important component of a chatbot is its personality, which will allow your brand to truly resonate with your customers. If you can create a bot that mimics a human’s interactions, users’ customer experiences can be greatly influenced. Here are a few tools that we think are the best to help get you started. ManyChat – This platform is great for users without any coding experience. It’s one of the more popular bot platforms that were launched in early 2016. ManyChat is user friendly and has a free plan. However, its downside is the lack of flexibility for custom coding. Chatfuel – Create your own bot in minutes using Chatfuel! There is no programming required. The platform integrates with some of your favorite services such as YouTube, Twitter, Instagram, etc. The platform currently has 17 million users worldwide. The best part of it is that it’s totally FREE! No strings attached. Botsify – With Botsify you can say goodbye to coding and stick to their easy drag-and-drop interface. It’s simple. The bots use AI to analyze and learn from user’s queries, but a human is still able to take over at anytime to respond to challenging questions. Amazon Lex – With Amazon Lex, the same deep learning technologies that power Amazon Alexa are available to any developer. You can easily create sophisticated and complex bots with lifelike conversational interactions. With Amazon Lex you only need to pay for what you use. Now that you know a little more about chatbots and how they work, you can decide if they would benefit your business. Sooner or later, chatbots are going to revolutionize the way customers interact with brands.